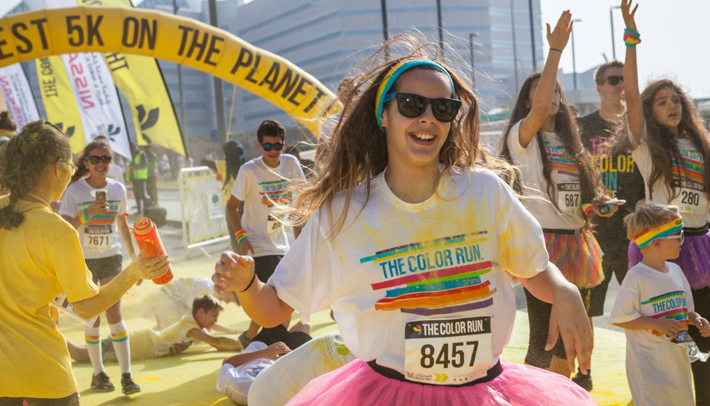 The Color Run, the original 5-kilometre color powder race, returned to Doha for a second installment in a kaleidoscope of color, music and health today at the Qatar National Convention Centre (QNCC). Setting the capital alight with the help of Sahtak Awalan: Your Health First, the health campaign run by Weill Cornell Medicine – Qatar (WCM-Q), The Happiest 5k on the Planet saw Color Runners walk, jog or even jump their way to a healthy New Year. It was a record-breaking installment for The Color RunT in Qatar, with more members of the community than ever signing up to get active in a fun and friendly environment. After a warm up led by Reebok’s globally acclaimed ‘Les Mills’ master trainers, and the flag waving ceremony by 17-year-old Ghanem Al-Kuwairi, Color Runners were led across the start line by the loveable unicorn mascot, Runicorn, who led the celebrations and spread the joy across all 5 kilometers of the route. Seven thousand two hundred participants turned Doha into a cloud of color at each of the four color stations, located at one kilometer intervals around the course where 280 volunteers were on hand to shower participants in the vibrant color powder The Color Run is renowned for. The event is once again supported by WCM-Q, whose health campaign Sahtak Awalan: Your Health First, presented The Color RunTM at Qatar National Convention Center (QNCC). Sahtak Awalan aims to educate people about health issues and encourage them to make positive and healthy life choices. The Color Run offers local residents an inspiring, engaging and exciting way to meet those positive goals. 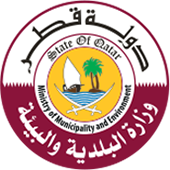 Sahtak Awalan was launched by WCM-Q in 2012 in association with the Supreme Council of Health and the campaign’s strategic partners, Qatar Foundation, the Supreme Education Council, Occidental Petroleum, ExxonMobil, and Qatar Olympic Committee. In keeping with the event’s community focus, $1 from every entry at The Color Run™ will be donated to Educate A Child (EAC). Launched in November 2012, EAC is a global program of Education Above All Foundation (EAA) that aims to significantly reduce the number of children worldwide who are denied their right to quality primary education. Through EAC supported projects, today more than 40 projects in 38 countries, EAA has put commitments in place that have brought quality education to more than six million out of school children. Exponentially gaining popularity since its launch in January 2012, The Color Run™ is now the single largest event series in the world. In 2015 alone, it hosted more than 300 events in 50+ countries.